If you like to hang out from at least 20 feet in the air, you’re in luck. 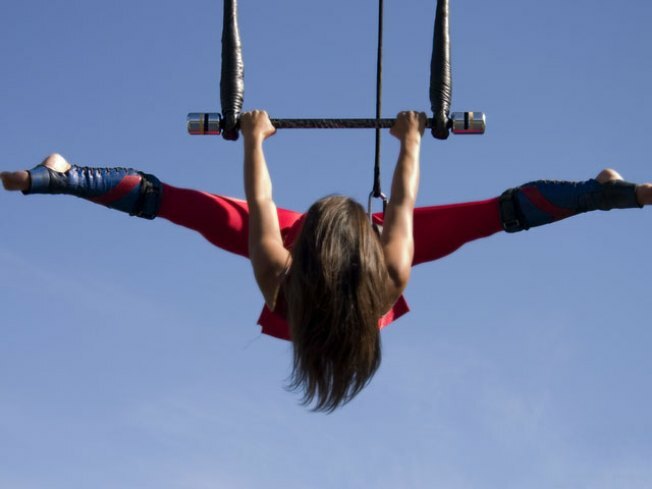 Trapeze School New York, which is located at 9th and H streets NW, has opened up registration. Classes begin Feb. 15. These sessions range for all levels, even for first-timers. And don’t worry if the little ones have “circus dreams,” the Trapeze School offers lessons from ages 6 and up. The classes are two hours long and are taught in groups of up to 10 people. No prior experience is necessary. But classes are selling out. TSNY recommends making advance reservations online. So if you’re ready to start flying high, visit TSNY for more information.